Lovely piece this in the Guardian! Today, we would recognise Byrne’s gigantism as being caused by a tumour in the pituitary, the endocrine gland that secretes many essential hormones, including ones for growth. Depending on the patient’s age at the onset of the tumour, either gigantism or acromegaly (typically characterised by excessive growth of the jaw, hands and feet) develops but there are other problems, such as delayed puberty. 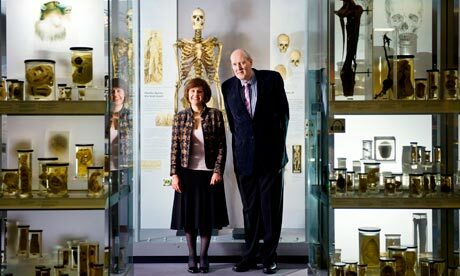 via How an Irish giant and an 18th-century surgeon could help people with growth disorders | Life and style | The Guardian. Written by: Eoinpurcell on 11 January, 2011. Last revised by: John_Dorney12 January, 2011.